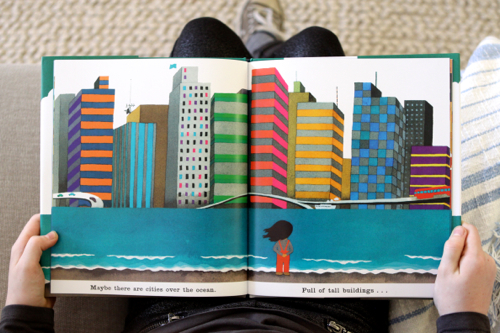 It’s time for this month’s picture book post! I’ve got 4 excellent recommendations for you. 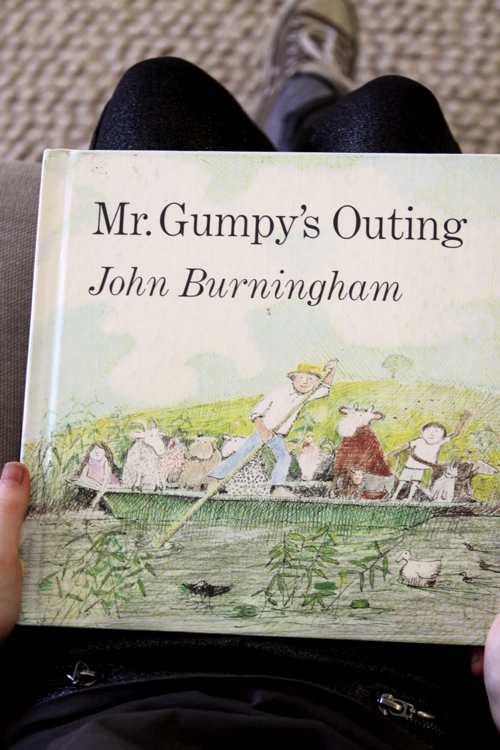 First up: Mr. Gumpy’s Outing by John Burningham. June checked this one out from the school library and we loved it. It’s an older book, first published in 1971, but still available. 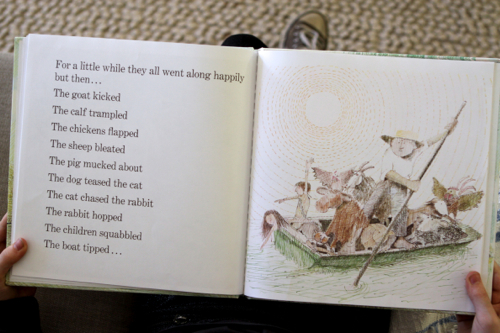 Mr. Gumpy lives by the river, and sometimes his friends (both the human kind and the animal kind) join him for boat rides. Sometimes the end up in the river. Sometimes they have tea. 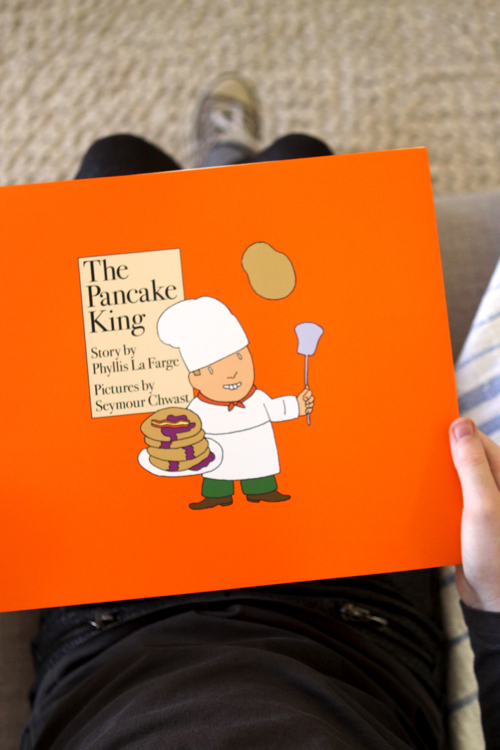 Next is The Pancake King by Phyllis LaFarge, with illustrations by Seymour Chwast. The book’s remarkable orange cover caught my eye, and then I saw Seymour Chwast’s name, and I was admittedly pre-disposed to like it. When I looked into it, I realized this is a revised addition — the original came out in 1971. (What was in the water in 1971?) And it’s terrific. So glad they reissued it! This is a story of Henry Edgewood who loves making pancakes and becomes quite a star because of it. Will his new importance make him forget his true priorities? 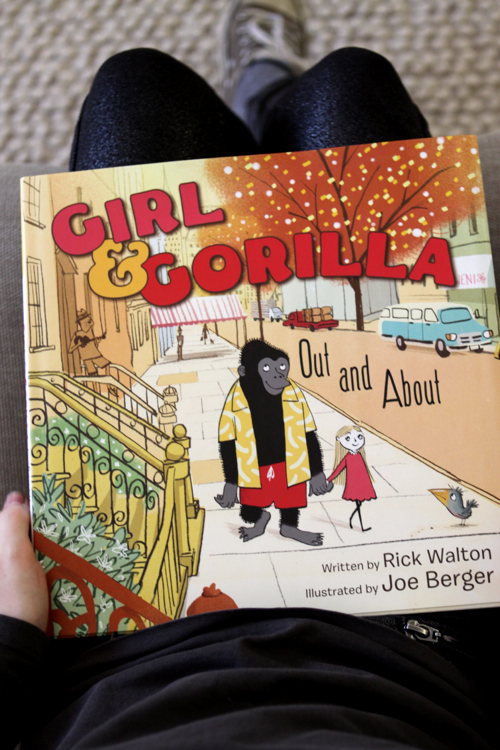 Then we have Girl & Gorilla: Out and About, by Rick Walton, with pictures by Joe Berger. 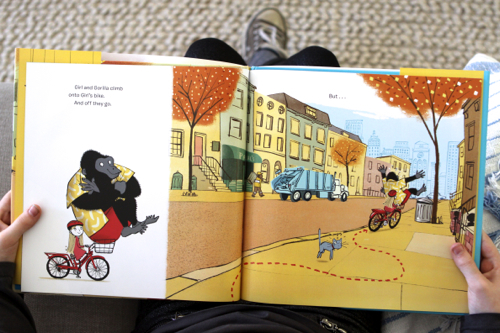 Girl and Gorilla are best friends and they want to go to the park. But how will they get there? Turns out getting to the park is quite an adventure! It might involve jump-roping, hopscotch, bike riding, wishing and more. Is it worth it? Yes. Yes it is. 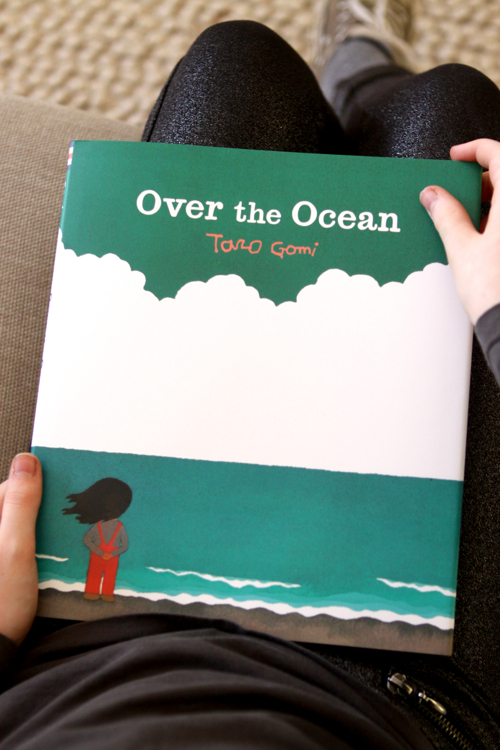 Lastly, I’m completely enamored with Over the Ocean by Tokyo-based Taro Gomi. 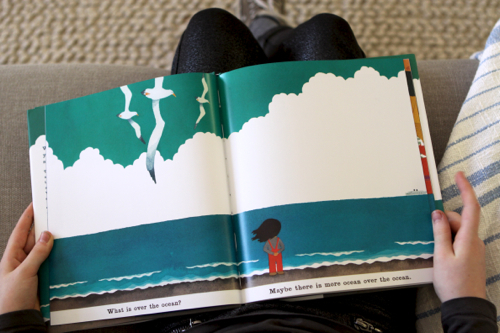 A girl stands on the edge of the ocean and wonders. And then wonders some more. Are there farms over the ocean? Cities? People? Are the people friends? Get this one for the wonder, and also for the illustrations. This is a gorgeous book. Watch for it in May, but you can pre-order it now. How about you and your kids? 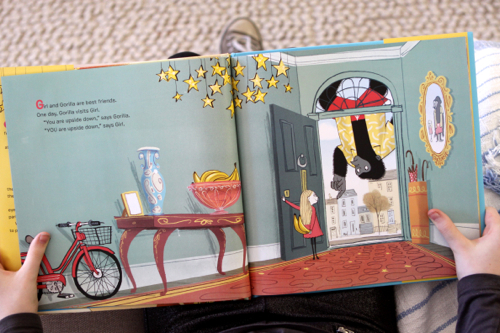 What picture books have caught your eye lately? Any oldies but goodies that you’re reading these days? P.S. 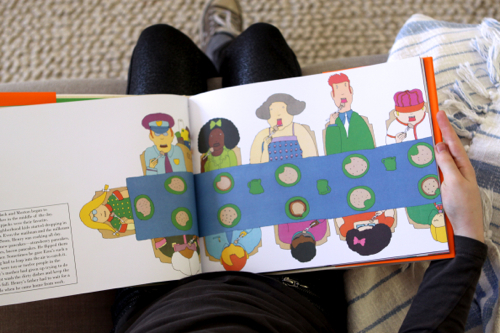 — Lots more picture book recommendations. Previous Post « How Much Sleep Do You Get? My 3.5-year-old son is finally excited about the Skippyjon Jones series. They are so much fun to read to him every night!!! My two year old is on a dragon book kick because of George, The Dragon, and The Princess. Anybody got any other illustrated, simple text dragon book recommendations? Dragons Love Tacos is a favorite in our house! Mr Gumpy’s Outing was a firm favourite in our house. We love Mr Gumpy’s Motor Car too. Charming and funny. I’m so glad to see Mr Gumpy’s Outing getting some props! I loved the book as a child, and now my kids love it. Another quirky old book, worthy of attention, is How Tom Beat Captain Najork by Russell Hoban, with illustrations by Quentin Blake. All of these books look so fun! We’ll have to add them to our next library trip! Love that you recommended one of Rick Walton’s books. He has been so pivotal in the Utah and national writing community. An amazing mentor. 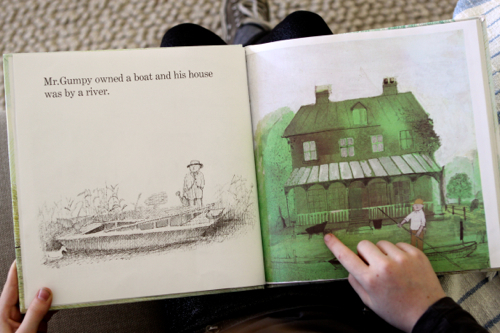 We love the Maple and Willow books. 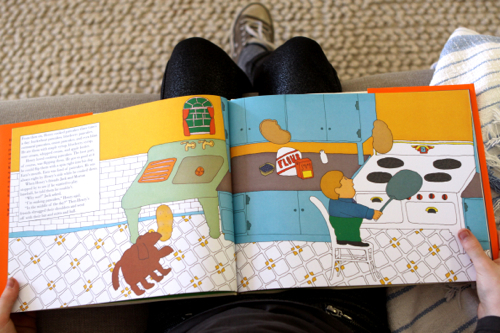 Such sweet stories and lovely illustrations! I love your book choices. So much fun! We have always love books by Mo Willems. The Elephant and Piggie series is so funny. Also his Pigeon series is great too!